Filmmaker, Writer, Father. Luke grew up using Sonlight before heading to a public high school where here graduated Valedictorian. Today, in addition to running a free film school and theology vlog, he teaches Sunday School, has Movie Night every week, and hangs out with his wife and child. Learn more about Luke here (including the adoption journey and more). What if my student doesn't complete all the Cores? What Can Your Children Do This International Literacy Day? Did You Use Algebra Today? Something Other than Minecraft this Summer? Making Babies is a Good Thing! What Does a Love of Learning Look Like? 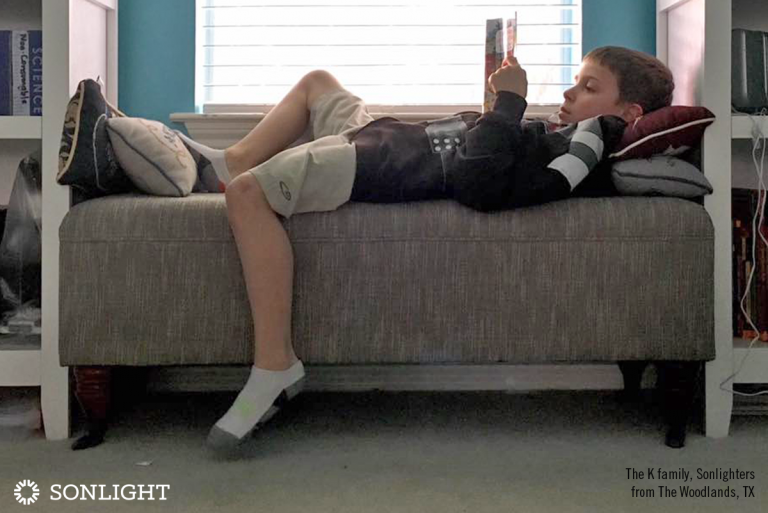 What's it like to go from homeschool to public school? Have a Student Heading to College Next Year? From Luke's Inbox: Why Shouldn't I Use Free Curriculum? Suffrage: What Did You Learn from History? Looking Good or Showing Grace? How Will the Common Core Affect Standardized Testing? Are You in Control of Your Kids? Are Your Children Excited About Missions? 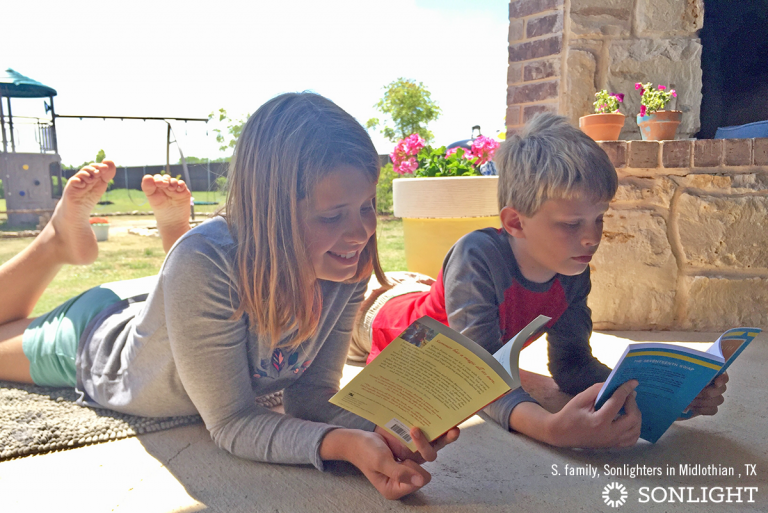 Why Is Homeschooling So Efficient? What Math Program is Right for My Child? Can I Keep Up With My Students? Want a Fee-Free 9-month Payment Plan? Order Today. From Luke's Inbox: What's the Big Picture in Grading? 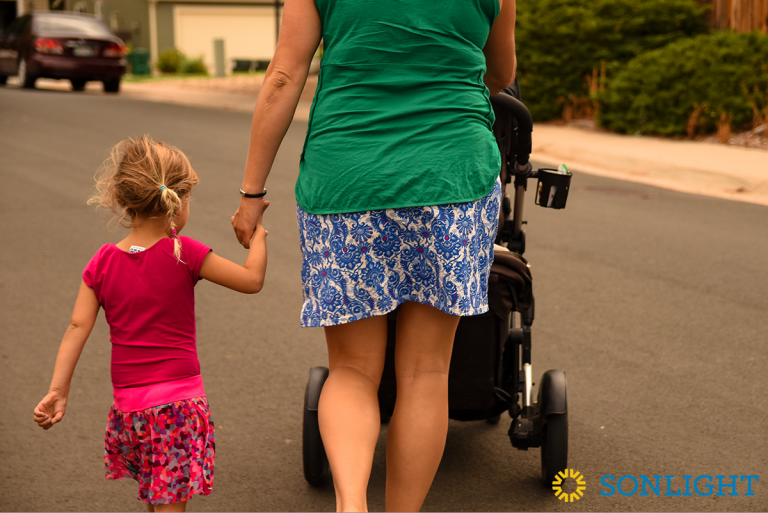 Does Preschool Help or Hinder Children? Are You in the Mid-Year Doldrums? How Do I Set Proper Expectations for My Students? 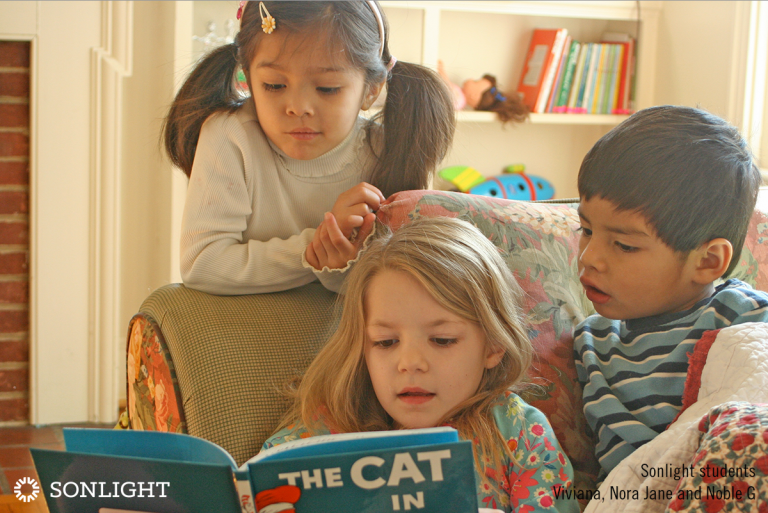 How will my kids meet children their age if I homeschool? What Do You Work Hard to Memorize? 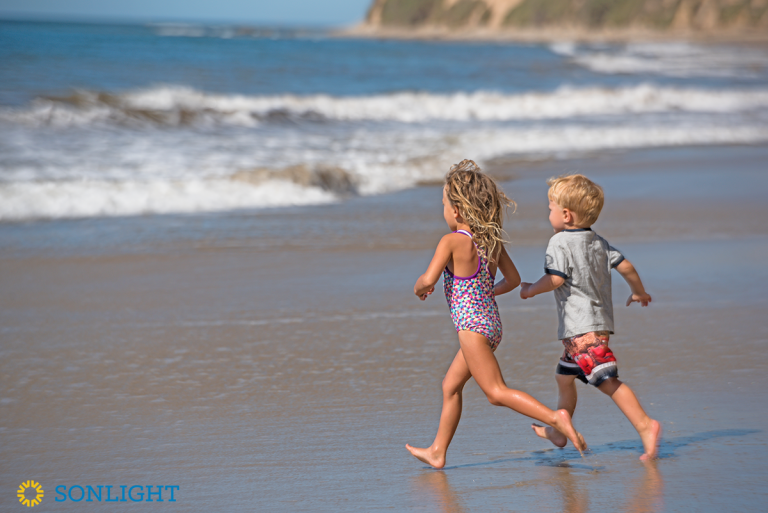 What Has Sonlight Helped You Grow? Discover the Joy of Scripture ...and find other great gifts! Where is the true 4-Day program? 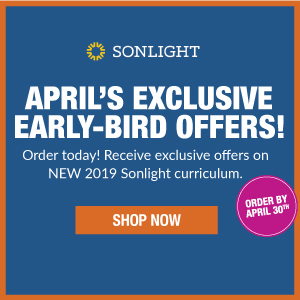 Has Your Student Applied for a Sonlight College Scholarship? 17 minutes on Why Homeschooling Rocks! Do you start your day already feeling behind? Did you vote for the winning 2013 Catalog cover photo? Are Others "Safe" to Talk with You? Do Your Books Hint at What's Coming? Why Are Theater People So Odd? How Many Hours a Day Do You Spend on School? What Gives a Story Power? Did You Learn Useful Stuff in School? Interested in free MathTacular stuff? Do You Use the Sonlight Forums? Prayer Puts Books Out of Print? New Sonlight Forums are Live! Is Your Math Program Not "Working"? 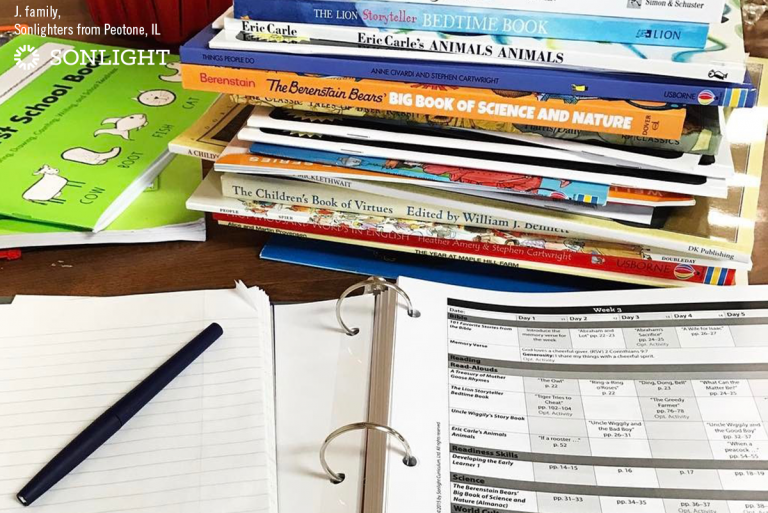 What is my child's reading level? Trying to Find the Best Curriculum for Your Family? Find Your Electives More Easily! Did Our Website Fail You Yesterday? "You've got to show kids interesting stuff." From Luke's Inbox: Dragons and Wizards and Demons, Oh My! 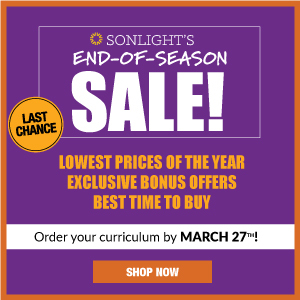 Have You Taken Advantage of the Sonlight Rewards Program? Post Easter Study: Was Jesus a Liar? The Catalog Arrives at the Holzmann Home! 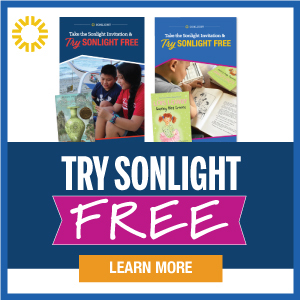 Sonlight's 2010 Catalog on Facebook? Do You See Yourself in Your Kids? Is It All About Electronics? I Can Haz Box Day Stories? What's Better Than a Wii? 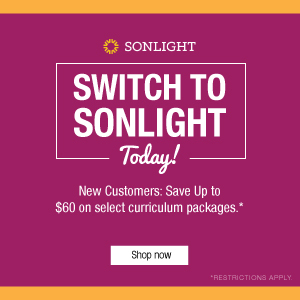 Cost Effective: Public School or Sonlight? Anonymity, Celebrity and "The Future"
The Sonlight Moments Widget is Here!